These stunning shorts from Mayoral are undoubtedly one of the most beautiful pieces in the SS18 collection! In a lavender and white checkered print, with a feminine scalloped hem and a pretty bow appliqué on the waist, the cool cotton, combines style with comfort to ensure she stays as comfortable as possible throughout the warmer months. 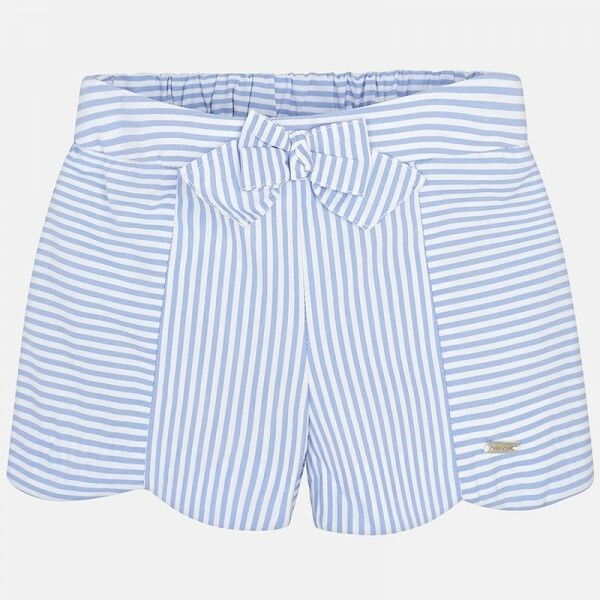 They're a must have item for any little fashionista's summer wardrobe! They're a fantastic colour for the softer tones of the warm weather. The shorts will mix and match with all her summer outfits, and you can effortlessly dress them up or down for the occasion. They're lightweight, adaptable and very easy to wear, so they're sure to be the first thing you reach for when the warm weather comes.